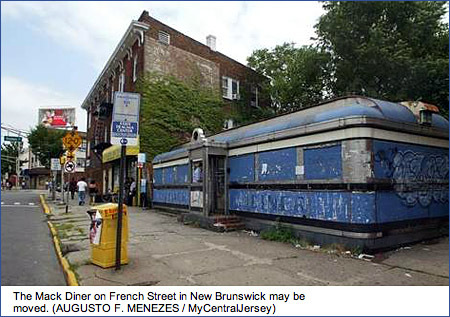 Lagniappe Investments plans to raze 706 and 712 Second Ave. SE, buildings that in recent years served as the Home Appliance Center and a hall for the Emerald Knights Drum & Bugle Corps…. Tom Slattery, authorized representative for Lagniappe, would not say why the site is being cleared. Mark Stoffer Hunter, an expert in Cedar Rapids history, said architecturally, the buildings are not significant, but the block is important to Cedar Rapids history. “It’s the one block of downtown Cedar Rapids that hasn’t changed in 50 years,” he said…. As the Lincoln Highway was routed onto Second Avenue around 1920, businesses replaced homes along the route. 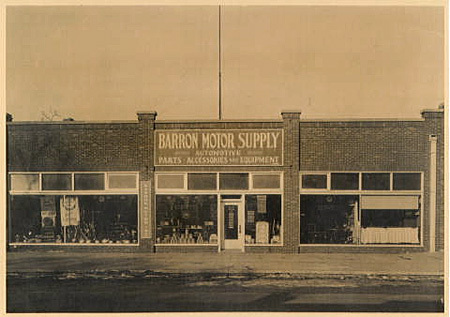 In the above photo, supplied to the paper by historian Mark Stoffer Hunter, Barron Motor Supply is shown at 706 Second Ave. SE in this 1935 photo. The store was one of several that lined Cedar Rapids’ “automobile row” along the Lincoln Highway.